Here is another "visual pun". 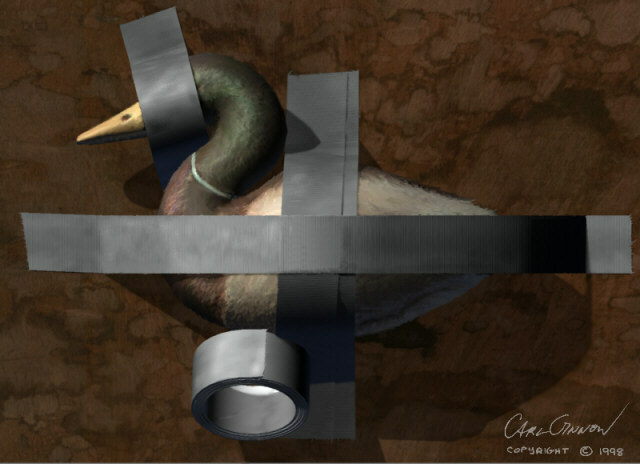 This one was the result of a discussion on the trueSpace mailing list (TSML) about duct tape. No ducks were harmed in any way when making this picture. All items Copyright © 1997-1999 Carl Ginnow, All Rights Reserved.